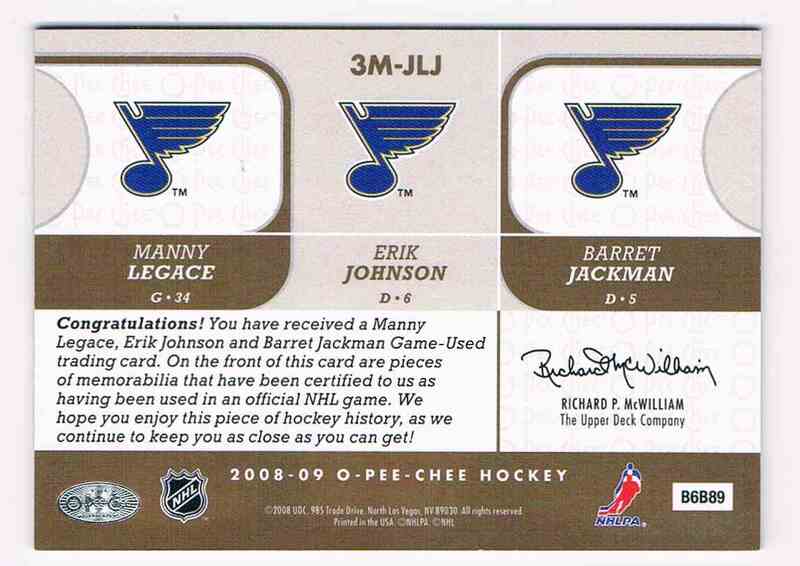 This is a Hockey trading card of Manny Legace Erik Johnson Barret Jackman (B), St Louis Blues. 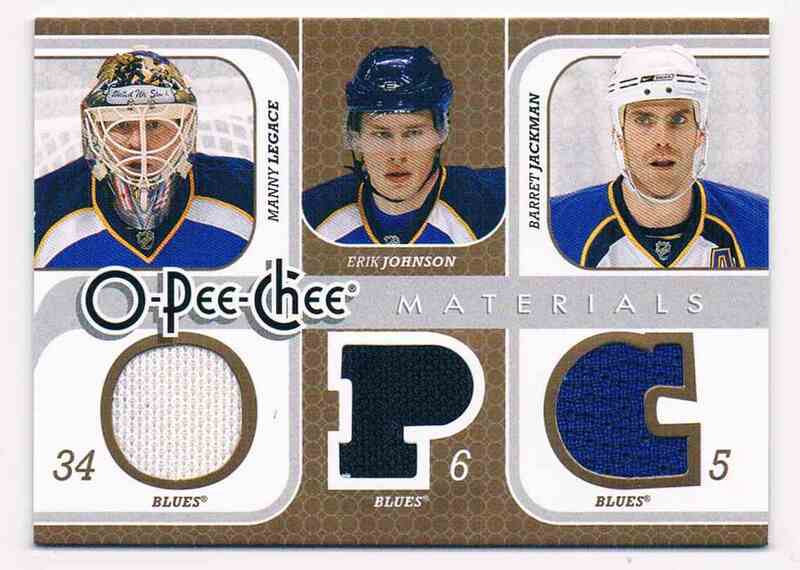 It comes from the 2008-09 Upper Deck O-Pee-Chee Materials set, card number 3M-JLJ, embedded 3 Jerseys 3 Colors. It is for sale at a price of $ 18.00.